How many blows can Uber take? The latest is a potential ban in Germany after a regional court issued a temporary injunction against the taxi company. Backed by heavyweight investors such as Jeff Bezos and Google (GOOG), Uber is now worth about $18 billion. But its global expansion has run into fierce resistance from regulated taxi operators around the world. Thousands of licensed taxi drivers in London, Paris, Berlin and Milan tried to halt traffic during a protest in June. Opponents have taken legal action too, resulting in bans in cities such as Brussels and Berlin. However, a ban in Germany, Europe's biggest economy, would be a particularly tough setback. Germany prevents unlicensed drivers from charging more than the cost of making the journey. Uber suggests a fare for each trip booked over its app, and takes a cut, so the court in Frankfurt ruled it was breaking the law. Uber said Tuesday that it would appeal the suit filed by Taxi Deutschland, which operates its own car-booking app. "You cannot put the brakes on progress," Uber said in a statement. "Uber will continue its operations and will offer Uberpop ridesharing services via its app throughout Germany.​"
In the United States, Uber faces regional bans as well. It has come under fire for its hardball competitive practices against other upstart taxi companies, including Lyft. According to Lyft, Uber employees have ordered and canceled more than 5,000 rides from Lyft since last October. It has also threatened drivers, saying that working for both Uber and Lyft was against New York regulations -- a claim that is not true. And some Uber drivers are becoming increasingly frustrated by price cuts in certain markets. It's also trying to get into other businesses, most recently saying it was launching a drugstore delivery service. An Uber driver calls you to take your order, and upon delivery, the purchase is charged to your Uber account. Meanwhile, to help navigate its growth, Uber recently hired President Obama's former campaign manager, David Plouffe. 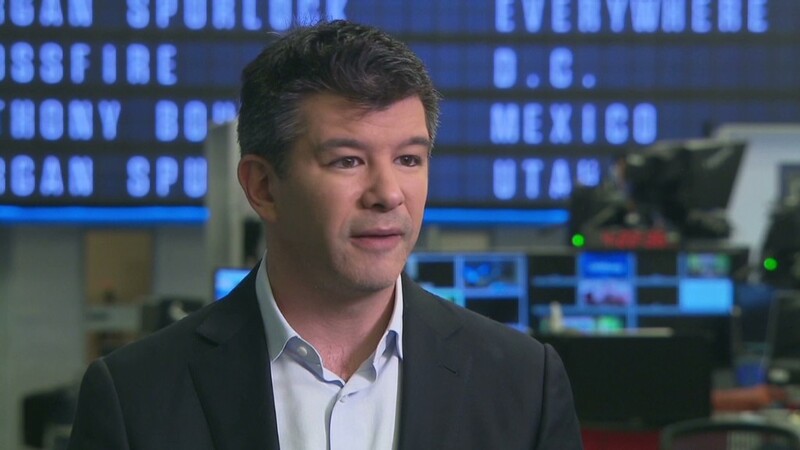 The idea, according to Uber CEO Travis Kalanick: To lead a "campaign for Uber."